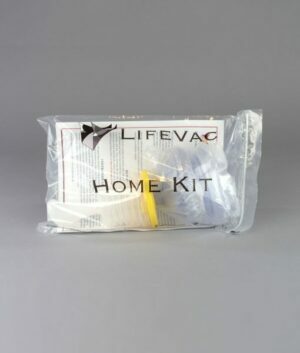 The LifeVac is a non-powered single patient portable suction apparatus developed for resuscitating a choking victim when standard current choking protocol has been followed without success. The LifeVac comes with two mask sizes, Adult and Child. 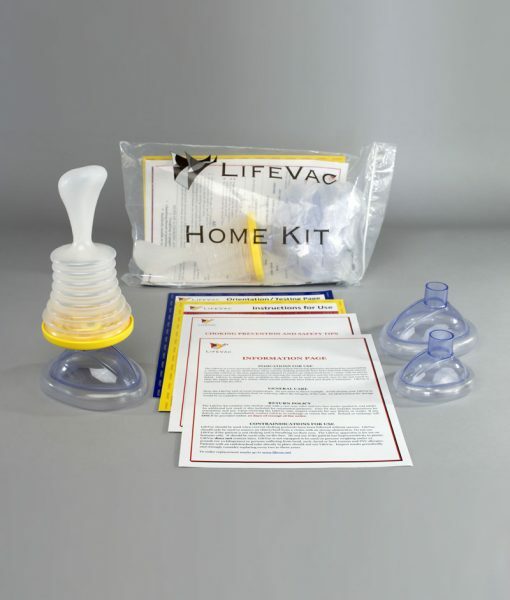 The LifeVac kit contains one suction unit with a one-way valve and two face masks (pediatric and adult medium). An additional test mask is also included for orientation purposes. Your kit also includes instructions for orientation and use. The LifeVac is a non-powered single patient portable suction apparatus developed for resuscitating a choking victim when standard current choking protocol has been followed without success. The negative pressure generated by the force of the suction is 3 times greater than the highest recorded choke pressure. The duration of suction is minimal so LifeVac is safe and effective.